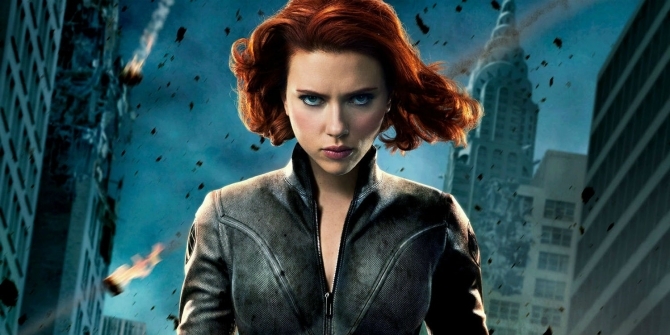 Proving there is life after Avengers: Infinity War, Scarlett Johansson has touched base on the standalone Black Widow movie that’s now beginning to take its first steps into development. It’s already tapped Jac Schaeffer to hash out a screenplay, while early reports indicated that Marvel’s Powers That Be are crossing their fingers in the hope of a Wonder Woman-sized hit. There’s also been mention of a possible theatrical release in 2020, where ScarJo’s spinoff would join James Gunn’s Guardians of the Galaxy Vol. 3. I think that there is a…[laughs] it’s such a loaded question. Yes, I would want to in the right context and for the film to fit where I’m at, where I am in my life. I mean I’ve played this character for a long time. It’s been probably like 8 years or more, and so much has happened in my life, my life as a performer and happened in my life personally. It’s still early days, of course, but make no mistake: Scarlett Johansson is in it for the long-haul, after telling Entertainment Tonight that she relishes her time in the MCU. I love playing this character, and I think there is definitely an opportunity to explore the Widow as a woman who has kind of come into her own and is making independent and active choices for herself probably for once in her life. You know she hasn’t always had that possibility so if it fit that criteria then yes I would want to do it.